Jacob Rush started a winery near the north bay in 1861. He built a new winery in the Sweet Valley region of the island near Division St. It was a two story structure that was built with local limestone. Then new cellar had a capacity to store over 70,000 gallons of wine. He had a distillery built on the back of the winery and it could process 2,000 gallons of brandy, sherry, port and altar wine. The Rush Winery was supported with 150 acres of vineyards. In 1879, Otto Brown, the former forman for the Kelley's Island Wine Company, bought the Rush Winery. He enlarged the cellar so it could hold 140,000 gallons of wine, making it the second largest winery on the island. The winery used 4 wine presses to process the grapes. It had a steam boiler to pump the grapes to a 5,000 gallons mixing vat and to heat the building. 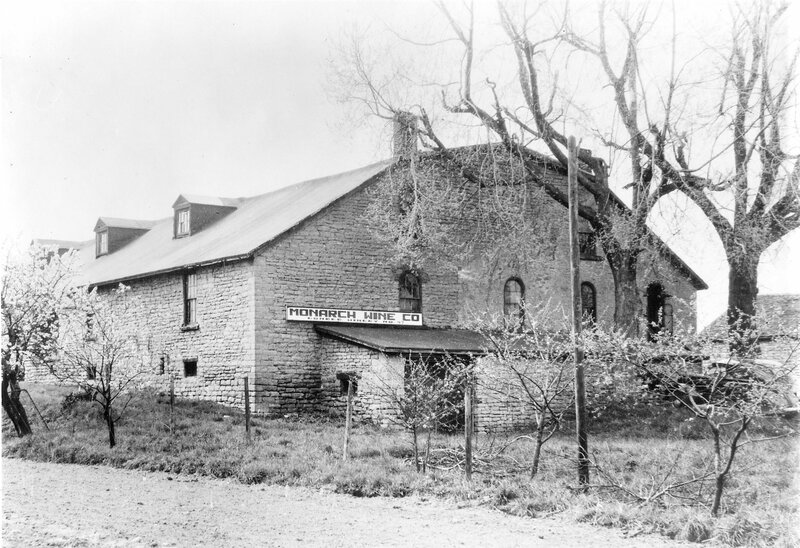 In 1887, the Otto Brown Winery merged with R.R. Moysey, Henry Triechman, Frederick Kastning and Adam Miller to form the Sweet Valley Wine Company. The winery processed an average of 500,000 gallons of wine a year. Most of their wines were shipped to New York City and to the western cities. Mr. Brown managed the winery until 1900, when it was reformed as the Monarch Wine Company. 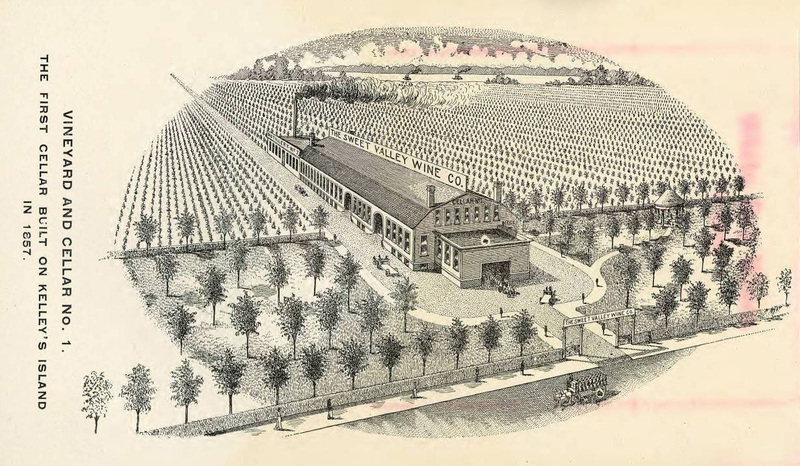 In 1902, the main winery was moved to Sandusky because of the access to the railroads. The wine cellars stayed on the island. The winery was supported by 150 acres of vineyards that surrounded the winery. During prohibition, the winery produced an unfermented grape juice called Rex Champ that was used for medicinal and sacramental uses. The Monarch Wine Company started producing wine again after prohibition under the direction of Roland Brown. It was the only island winery to reopen after prohibition. Mr. Brown operated the winery until 1950, when it closed. It was the last island winery to close. The winery ruins still stand on Division Street, across from the cementary. The house to the north of the winery was built by Otto Brown in 1892 and remained in the Brown family until 1984. The winery ruins are presently in disrepair and are on private property so it is not open to the public.